Spring is in the air, and in celebration of the brand new season, South Beach Bingo presents the Spring Luck Slots Tournament! Get in on the action by winning the most points during the tourney! Simply deposit a cumulative $75 in a day in a day during the tournament time frame and they will award you one point for every $1 wagered on bingo, $1 wagered on slots and two points for every $1 wagered on selected slots! 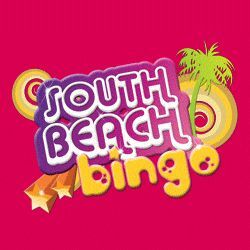 Join South Beach Bingo between the 18th – 24th March to play for a first prize of $2,300, with $700 for second prize and $300 for third prize winners! It’s that simple so why not spring into action and try your luck in the Spring Luck Tournament!